Twenty-six of thirty-five respondents answered C, matching my answer key. 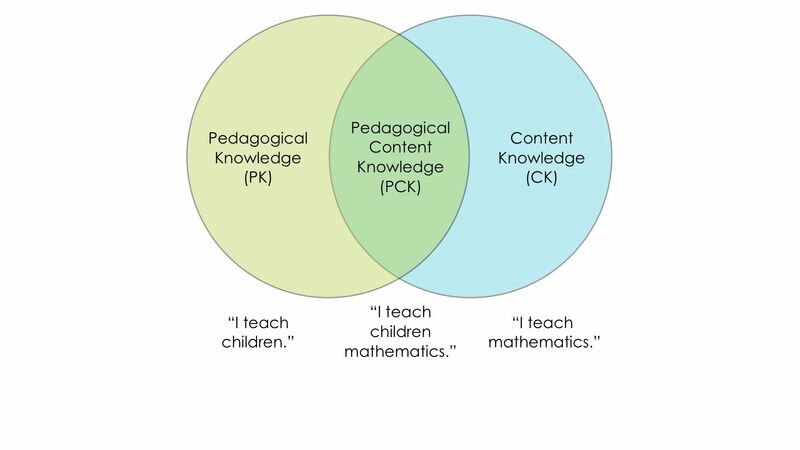 Three out of four math teachers agree: content knowledge is important at all grade levels. Sure, you need lots of mathematical knowledge in order to be able to guide students to understanding of the advanced mathematical concepts taught at the upper end of school, but it is also vital that for early years teaching, and throughout elementary school, teachers have a strong knowledge of mathematics. Sure, they might only teach basic number skills, but they need to be able to make connections between ideas, understand the deeper significance of these ideas. 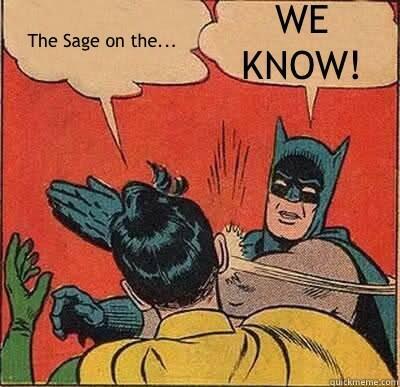 You said it’s about the IMPORTANCE of the content knowledge, not the amount they have. 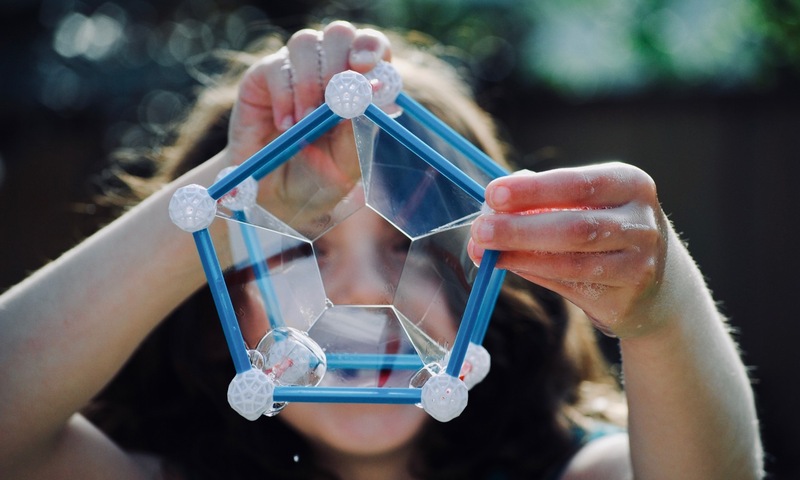 For students to develop concepts, they need tasks that help them to engage in and to connect with mathematical big ideas. From the choice or design of tasks, to the good questions that get asked to help students make those connections, the teacher’s content knowledge is critical – in some ways that’s even more important in the early years, but I think an argument could be made that it’s hugely important across the grades. I think that teacher knowledge is equally important at every grade level, but a teacher needs to know more mathematics in the higher grades. If the question were about the quantity of knowledge rather than its importance, then I would choose D.
But the content is different as grade changes. Calc teachers don’t need to know cognitive structures of place value like K-3 teachers do, for example. Too frequently it is assumed that elementary teachers don’t need deep knowledge because they’re just teaching kids how to count and add. How hard could it be? But the thing is, elementary teachers are helping very young children build very sophisticated concepts regardless of how easy an algorithm might be to memorize. Graph A is my take on the complexity question, my response to “Anyone can teach Math 8.” Logarithms in Math 12? Easy peasy lemon squeezy compared to dividing fractions in Math 8. You know the algorithm–just flip it and multiply–but can you answer the 13-year-old who asks why? Then again, maybe I’ve just missed the nuance of logarithms. Thanks for planting that seed, Tom. By the way, nobody chose A.
the sage on the stage. But here’s the thing: dispensing knowledge requires only a little bit of content knowledge. That and a chisel tip whiteboard marker/Wacom pen. Posing differentiated tasks that will engage students in and help them develop an understanding of the mathematics to be learned? Now that requires content knowledge. It requires that the teacher understands this mathematics deeply. And yes, content is googleable but you need some mad Google-fu skills to get past the procedural. Planning and implementing learning tasks, assessing and supporting students’ learning… these must be guided by an understanding of the mathematics at hand (and how this connects to other ideas students see earlier/later). In fact, some respondents speculated about which graph best matches the importance of PK and PCK across the grades. Most landed on C.
Here, the mad minute, a teaching practice, is seen as a symptom of a lack of content, not pedagogical, knowledge. This probably goes against conventional wisdom. 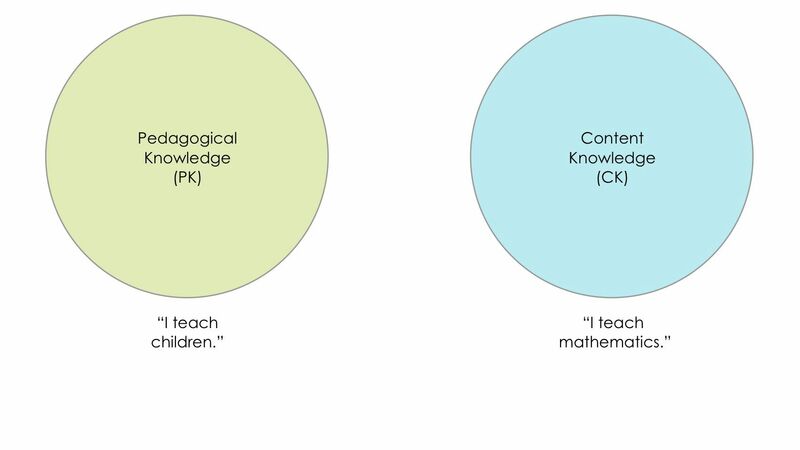 What I really wanted to choose was a graph that showed that teachers mathematical content knowledge over time should increase, to demonstrate that they are learning. So while I think C would be ideal, teachers could start anywhere on the scale, provided they are willing to put in the same time exploring mathematics as do their students. What does this mean? First, “this doesn’t mean elementary teachers need to be versed in differential equations.” Content knowledge can grow with experience… if it’s believed to be important. Note: I’m wondering if responding to the survey implied anonymity. Please let me know if you wish to have your name attached to your comment. For an upcoming post, could you please answer the following multiple choice question? You may answer in the comments section or complete the online fill-in-the-bubble test. The first 100 respondents will be the lucky recipients of Reflections in the Why merchandise. If in six to eight weeks you have not yet received your package, wait longer. ¹The horizontal axis should be labelled K, 3, 6, 9, 12, not 0, 3, 6, 9, 12. Blame GeoGebra, not me. Update (February 3, 2013): Thank-you to all who have taken my quiz. If you haven’t, there’s still time before ‘marks cut-off.’ In a week or so, I hope to find time to summarize and interpret the results as well as provide my answer key. 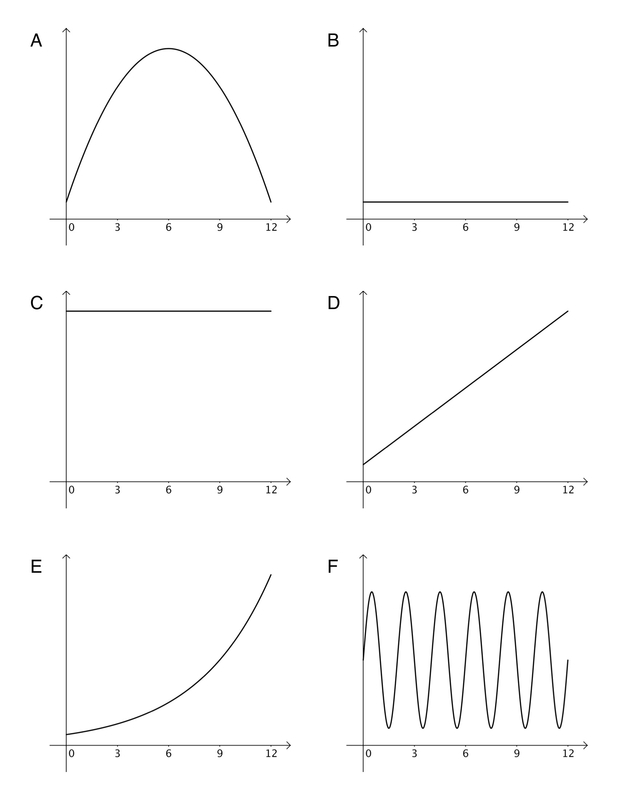 I did realize that, without a scale labelled on the vertical axis, B & C are indistinguishable. I tried to slip that by an audience of math educators. No such luck. But tell me this is the first time you’ve had to read the mind of a teacher when answering a quiz question. Also, the wording of the question is ambiguous. I’m cool with that. I can’t help you. It’s a quiz. Choose the best answer.